If you asked Shazia and Jarred about the theme for their wedding, they would have had one simple answer: “Sparkles!” Sure enough, this wedding was, beautiful sparkling, and bright (just like the couple), from the bride’s rhinestone-studded ballgown to the glittering centerpieces on each reception table. 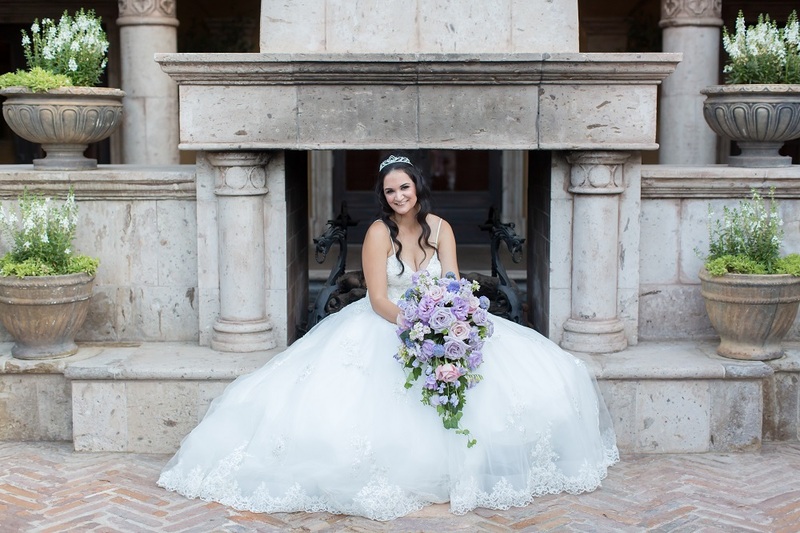 The other major theme for the day was the color purple; the bridesmaids’ dresses, the groomsmen’s ties, the bouquets, and and even the tablecloths were decked in shades of this royal color. The overall effect was whimsical, fun, and totally gorgeous! 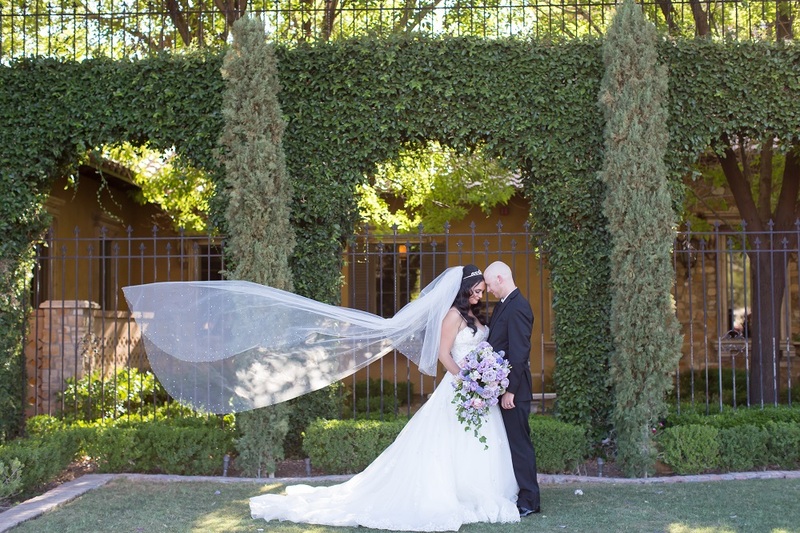 This element of whimsy carried over into the wedding ceremony, where it blended beautifully with the couple’s vows of love and commitment to one another and to their family. For example, the couple did a glitter pour (instead of the typical sand pour or unity candle) into a “family unity container,” with their children alongside to help them out. The couple also received a huge heaping of love from their respective families, as both their fathers said a prayer over the couple. And before we knew it, it was time to party! Shazia and Jarred danced their first dance to “Perfect Symphony” by Ed Sheeran and Andrea Bocelli before enjoying a dinner of spring mix salad, chicken francaise, chicken parmigiana, and mostaccioli with either pesto or red sauce. All their guests enjoyed an evening of music, dancing, laughter, and cake (covered in glitter, of course), but no one seemed more overjoyed that Mr. and Mrs. Runyon themselves. 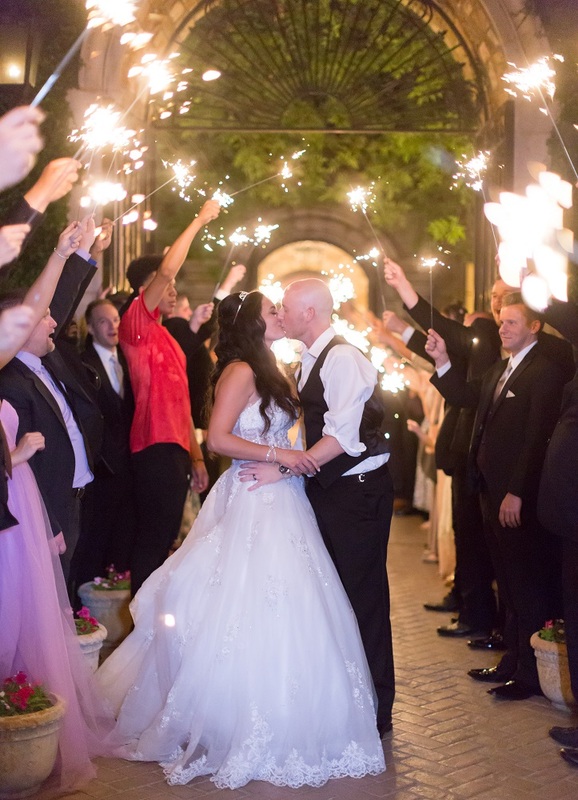 By the evening’s end, guests sent the happy couple off in the best way possible — with an archway of sparklers! 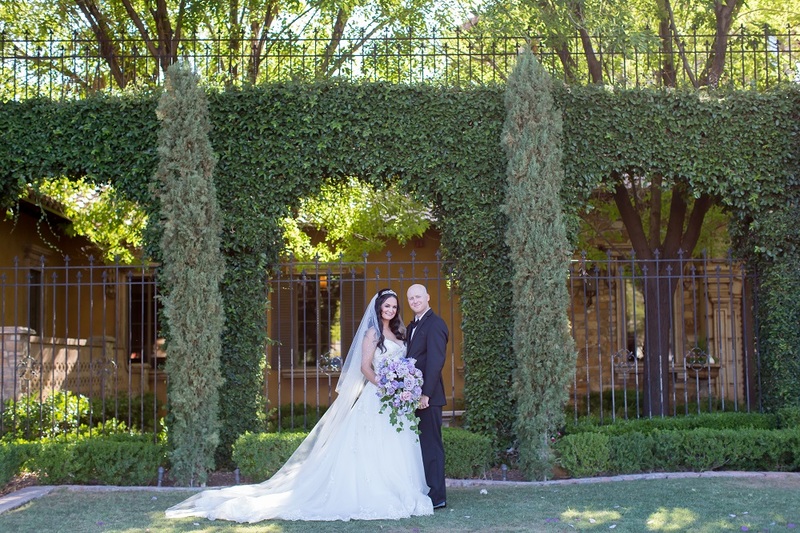 We suspect that Shazia and Jarred are in for a life full of beautiful memories, and each one will sparkle like a diamond.